Give me an open shelf and I immediately go into display mode. 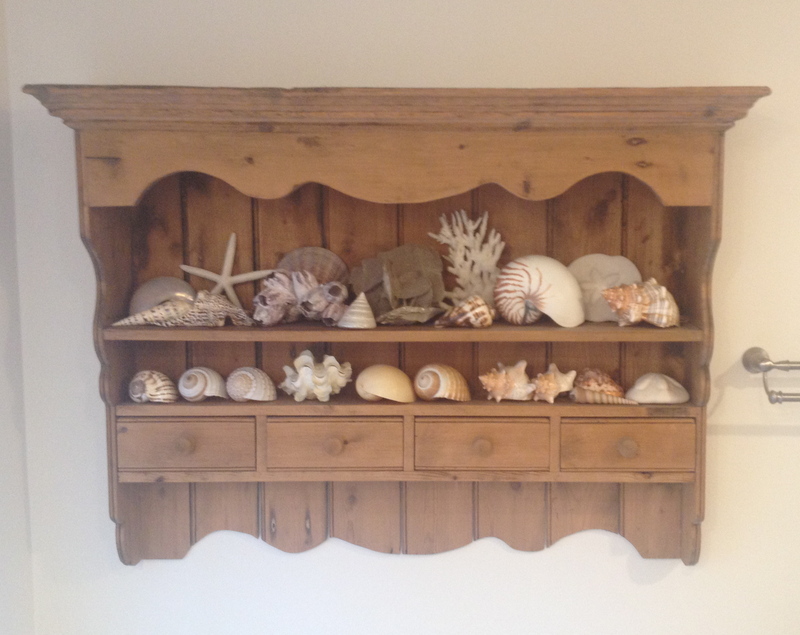 From the pragmatic to the aesthetic–whether we’re talking everyday dishes or a collection of shells–in my mind they occupy the same sacred space. A well-arranged shelf is like music to me. Where did this come from? I was working as Communications Editor for G. Fox & Co., a large department store at the time in Hartford, Connecticut. My first gig out of college, editor of in-house publications. Unlike Mary, who was tied to her desk, I had the freedom to roam between departments with paper & pen and camera, attending events, getting stories, and becoming acquainted with both employees and management. And in all the world of G. Fox & Co., I considered the Visual Merchandising team the most creative bunch—far more creative than my department, or even advertising. Inspired by my new arty friends, the window dressers, I rented a trendy loft space in a beautiful old building enjoying a renaissance at the time near Union Station in Hartford—an area undergoing a major effort in urban renewal. My high- ceilinged, light-flooded space was a blank canvas for all that I would do. A massive store window, if you will. I think I got as far as rolling in a wooden spool for a table, my first piece of furniture ever, to start my life around. Rhoda married Joe. Then love bumped me off course too, and the next thing I knew I quit my job, left Hartford, lost my security deposit and first month’s rent on that loft, left my first piece of furniture behind, flew to St. Thomas USVI for a couple of years, and… we won’t go into it. Let’s just say I should have stayed, kept writing, and set my stage. Two things that make me immeasurably happy. Rhoda’s marriage to Joe fell apart too. The ratings plunged. Joe was the owner of a wrecking company, and my ex-husband might as well have been too. In any case we pulled ourselves up through design, Rhoda and I. “What is design but the creation of orderliness?” states Mary Douglas Drysdale. Today my blue & whites are in a hutch. Like things together, that seems to work. 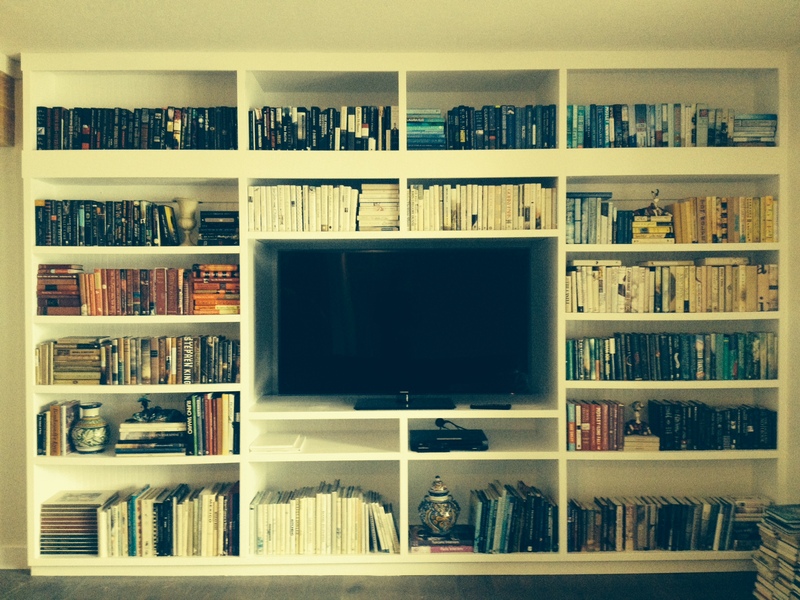 A major bookcase is color- blocked like a Mondrian painting. When I’m watching a game and my attention wanders, it is most likely up to the books. In the master bath, a shell collection sits on pine shelves that once held Costco-sized spices, sea salt, pepper mill, olive oil and vinegars in a kitchen in Pennsylvania. 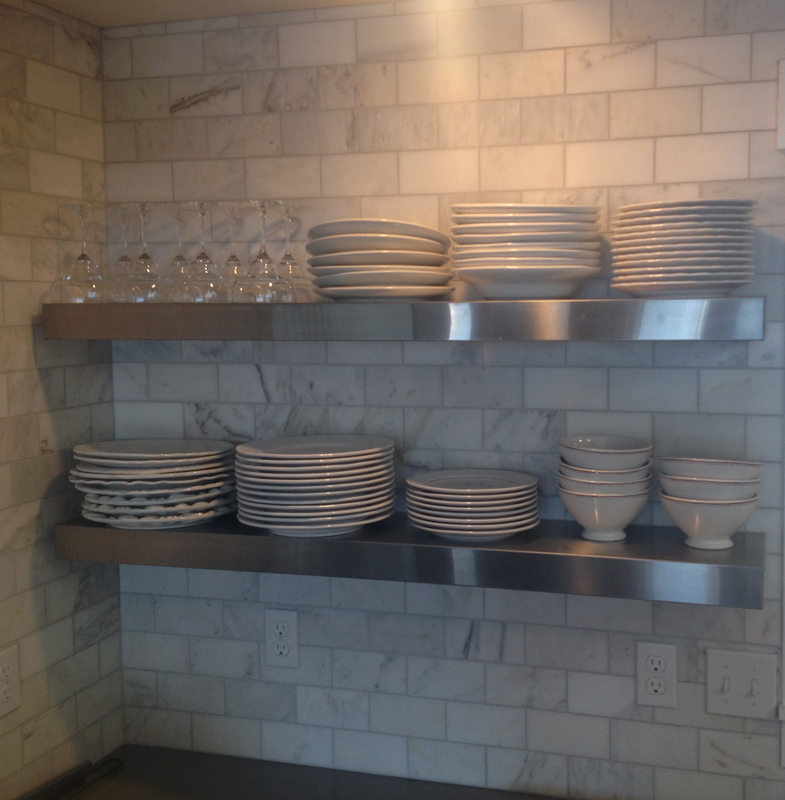 In the kitchen today, much of what was once hidden in upper cabinets is now out. 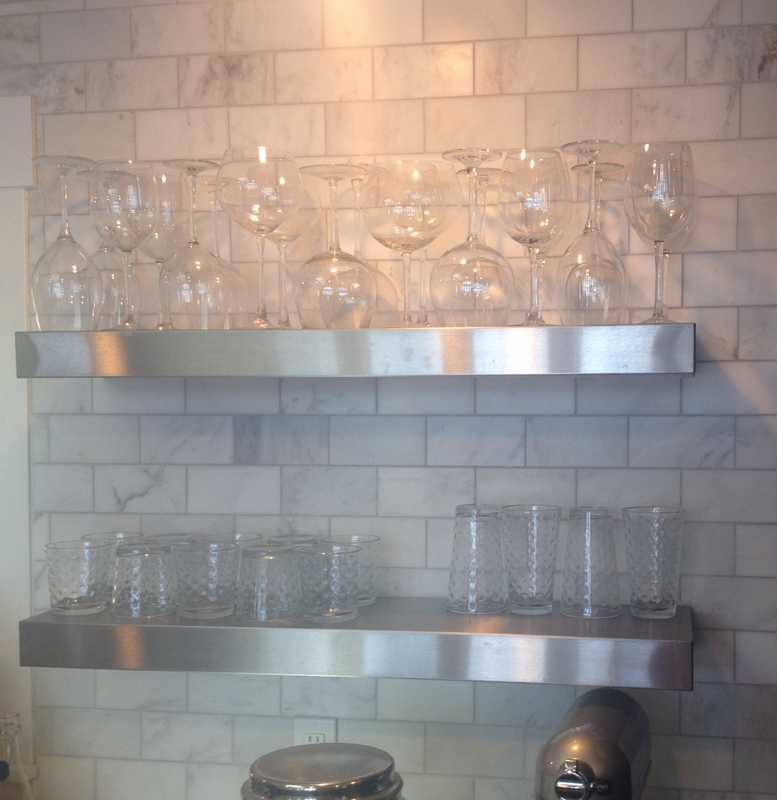 Stainless steel kitchen shelves hold all our white every day china and clear glasses. The idea is that what is used frequently, doesn’t get dusty. And as cooks in prepping we experience extraordinary head and shoulder space. Live with what you use and what you love. And get rid of the rest. Yep, I can see Rhoda winking at that. This one and the prior blue/white post seem to have more direction for your musings. Thanks, Alice. I appreciate that.